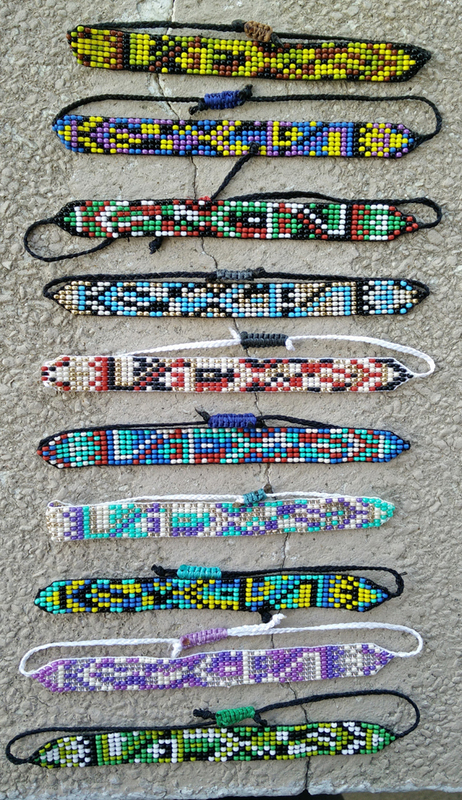 Ten thin bracelets featuring our "Majhnun" design: a combination of 12 design patterns that changes every five beads. The Thin Mahjnun Collection was designed to match the Mahjnun ReVi Keychains. It uses fine seed beads and features ten different colour combinations. Great for unique gifts to your friends or a nice variety of bracelets to wear depending on your mood. All of the bracelets are adjustable to your wrist. These bracelets are seven beads wide ( about 1.2cm / 0.5 inches) and they look great with other bracelets that you might be styling. 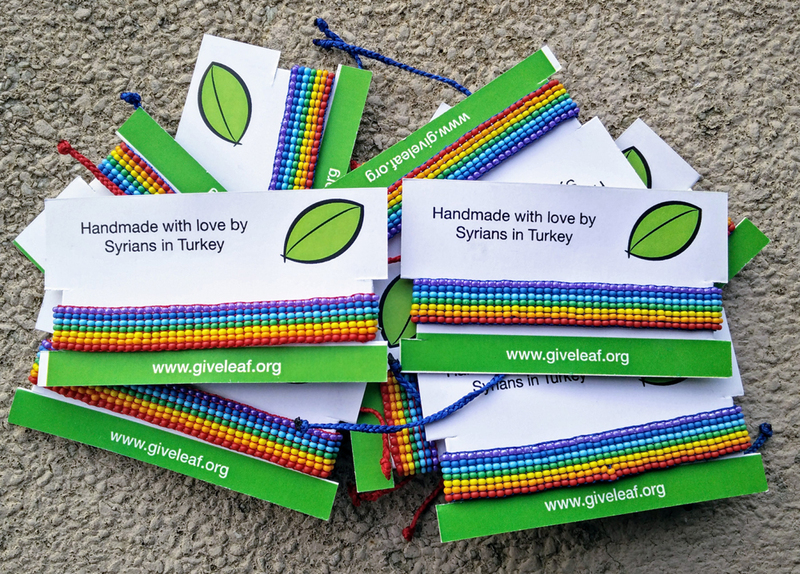 When you purchase a ReVi bracelet, you're helping 30+ women to support their family. Most of their children are now able to go back to school.